1 Explain who a collector is. 2 Name five popular articles that people are collecting today. 3 Listen to an adult collector as (s)he shows and talks about his/her collection. 5 OR Make two very different collections with at least 20 items in each. 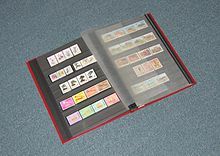 5.1 Objects: stamps, postcards, photographs, coins, etc. 5.2 Nature: leaves, minerals, feathers, shells, etc. 6 Have a collector’s show and display two collections neatly arranged with objects well identified. 7 Show and explain something you have learned about one of your collections. Explain who a collector is. A collector is a person who gathers things. She/He is interested in and learns about them. Name five popular articles that people are collecting today. Listen to an adult collector as (s)he shows and talks about his/her collection. Try the following zoo animals collection. OR Make two very different collections with at least 20 items in each. Objects: stamps, postcards, photographs, coins, etc. Nature: leaves, minerals, feathers, shells, etc. Have a collector’s show and display two collections neatly arranged with objects well identified. Show and explain something you have learned about one of your collections.